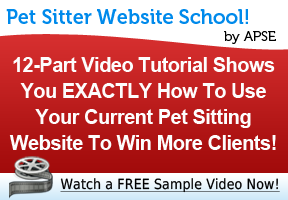 Home » Pet Sitters » Are You Gaining The Right Info From Your Potential Pet Sitting Clients? sitting clients want from you? The best care for the pet? A fair price? Sure. 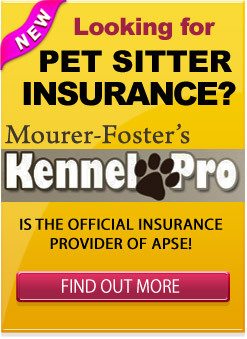 But the most important thing a pet owner is looking for is peace of mind. security in the first place? By asking lots of questions. and desires of each client if you do not ask questions. You Must Ask The Right Questions. you need service, what’s the feeding schedule, etc. concerns, and their true fears. -She has chosen never to leave her beloved pet behind. determine the What, the Why and the How of the current situation. be afraid to ask and do not think it’s none of your business. history, the doctor can not make a proper judgment going forward. So, what can you learn by asking specific questions? to make it a point to return calls to her in a timely manner. you’ll know to take extra special care when cleaning up after the cat. evening. Yet, it could cost you like it cost others in the past. serve her in the best possible manner. so that she can stay relaxed. Nobody wants to be at work agonizing if the dog is OK.
phone rings thinking it’s the pet sitter with bad news. confidence in the world into you. pet in the past, it is absolutely acceptable to inquire. It’s the only way you will be able to do the best job possible. share bad experiences with you. that you care, and are listening. the ball rolling in the right direction. ask her the magic question listed above, and note her answer. Come back here and let us know the results.